Prove It! Different shades of white are all around us in the paint world, but do we really need that much variety? 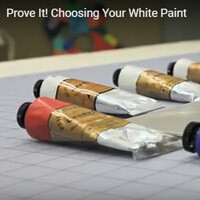 Find out in this monochromatic episode of Prove It!, where Mikey G. will try to answer the question, “Is white really just one color?” Come along with Mikey on a visit to his…..